False documents are a great way of drawing your reader into your story. Why’s that important? Because many people have trouble suspending their disbelief in stories. This is doubly true for speculative fiction authors, because it’s inherently difficult for people to believe in worlds outside their experience. Anything we can do to make readers forget they’re reading fiction helps them engage with the story better, and that has to be good for the author. But what are these ‘false documents’? What we are talking about is including convincing reports, maps, diaries and other ‘non-fiction’ elements in a novel. The bookend technique is a simple type of false document It involves writing a normal novel but then adding a preface and afterword, from the ‘editor’ or ‘recipient’ of the story where they explain how the story came into their possession and the likely fate of the author. In the preface, Jack Higgin’s The Eagle has Landed claims to be a true story. It also uses the bookend technique – the opening and closing chapters are an account of the author investigating the ‘mystery’ and interviewing some of the ‘witnesses’. In our quest to make our novel seem like a true story, the bookend technique is only the first step. By inventing and inserting genuine-looking documents we can create a strong sense of authenticity. ‘Official reports’ are a good way of setting up the premise of a story. Similarly, Len Deighton’s alternate history spy thriller SS-GB uses a false document to set up the point of departure of the novel: Nazi Germany invaded Great Britain in 1940. 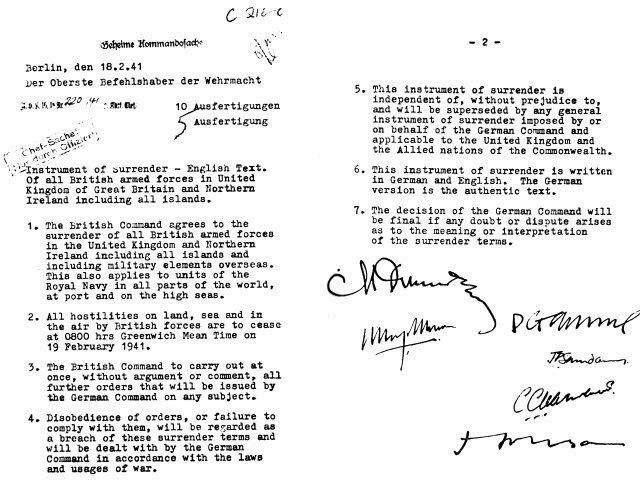 In February 1941, the British surrendered and the surrender document opens the novel. This quickly makes the reader aware that they are reading an alternate history novel. 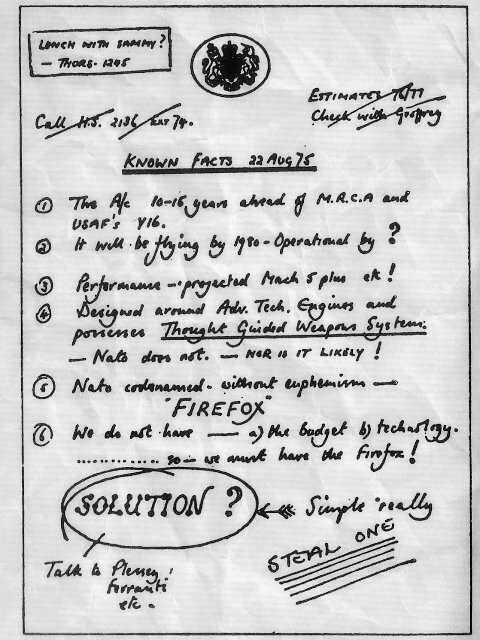 Note as well how realistic the surrender document looks with its mixture of printed letterhead, typewritten contents and handwritten signatures and notes. A staple of alternative history is the imaginary history book where a professor looks back at the history of the alternate world and discusses why things turned out the way they did. An example is For Want of a Nail by Robert Sobel. It pretends to be an undergraduate-level history of North America from 1763 to 1971 in a world where the British defeated the American rebels at the Battle of Saratoga, ending the American revolution. Be careful with this technique though – it’s something of a cliché and, generally, doesn’t make for great storytelling. Instead I suggest including some short extracts from history books, perhaps as chapter heading epigrams. Newspaper headlines are an effective way of giving the reader important information in an efficient and believable way. The danger with including newspaper articles in your novel is they can become a way to lazily infodump exposition. As with the other techniques, don’t over-use it. Some alternative history novels written in the ‘history book’ style include pretend references such as footnotes and bibliography. For example in For Want of a Nail as well as references, Sobel includes appendices, a preface thanking imaginary people and even a critical introduction by an imaginary historian. Similarly, in The Andromeda Strain, by Michael Crichton, each chapter ends with a set of scientific references. On investigation, it turns out that most of them are not genuine reports, but how many readers check the references? Most are just impressed by how well-researched the novel apparently is. The novel composed of diary entries or letters between the characters is a common literary technique. So common there’s a word for it: the epistolary novel. A good example is The Separation, a 2002 alternative history novel by Christopher Priest, which includes characters’ diaries, scraps of published texts and ‘declassified’ transcripts of conversations. Epistolary novels do have issues: the story can only have a few viewpoints, and is generally ‘told’ more than ‘shown’, so can lack immediacy. I’d suggest that including occasional extracts from diaries and letters is the best approach. Maps are often included in the end papers of a novel. They usually show the area where part of the story takes place and are sometimes marked with the route the characters took. 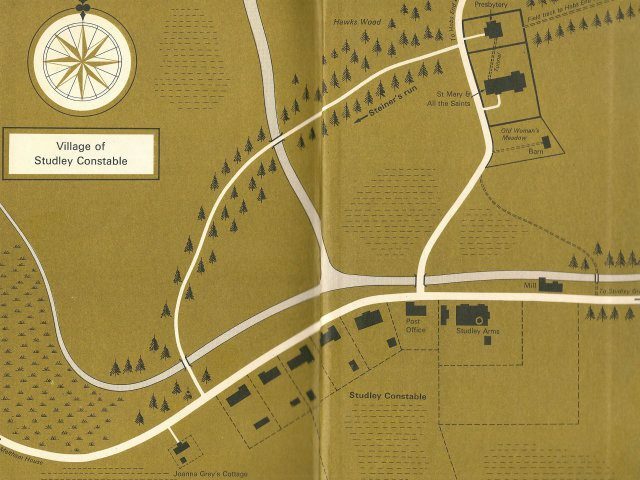 For example, inside the front and back cover of The Eagle Has Landed are maps of the area where the story takes place, Studley Constable, which in fact does not exist. A photo is worth a thousand words. If you can produce a photograph that looks real in the context of your novel then it will add authenticity. 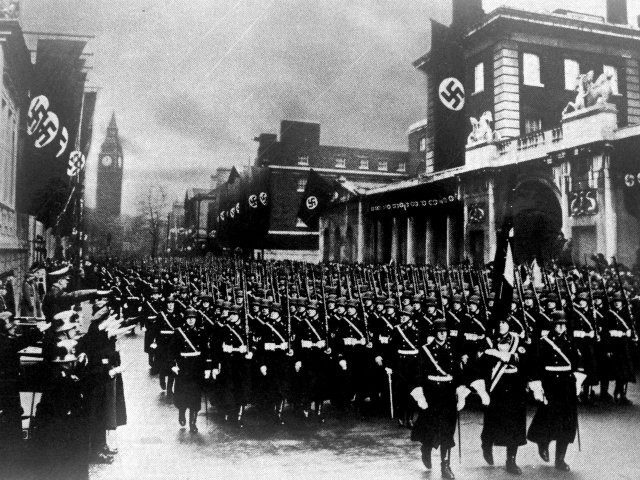 An example is the original hardback edition of SS-GB, which included a photograph of Hitler taking the salute as his troops march down Whitehall. Remember this was produced in 1978, well before Photoshop made photo manipulation of this sort relatively simple. So, how do we create these false documents for our own stories? The first thing to do is find real documents to model your false documents on. Museums are a good source, as are archives and libraries. You can try searching on the internet too. The more real documents you have the easier it will be to make your false documents look convincing. It’s important to pay special attention to things like letterheads, fonts, stamps, signatures and logos. 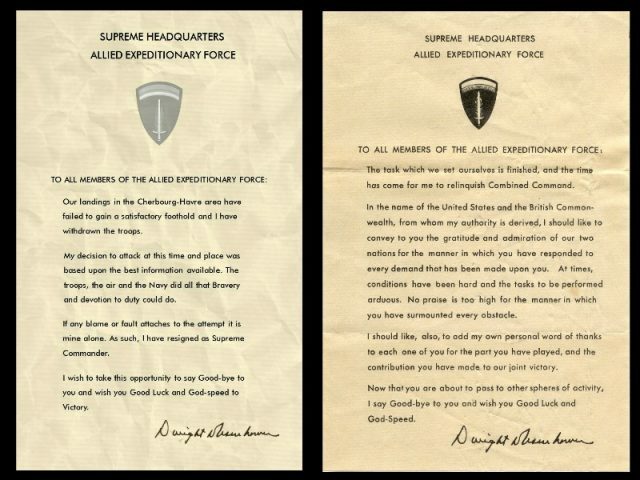 Of course, the real document is the one on the right, congratulating the troops. I based the format of the false document on the original, and the words on real notes that General Eisenhower made in case the D-Day invasion failed. The three free image editing programs I recommend, and use myself, are: iPiccy, Pixlr, and GIMP. iPiccy and Pixlr are both free and easy to use image editing programs. iPiccy is here and Pixlr is here. GIMP is a free alternative to Photoshop. How realistic your false documents are will depend on your ability, but with some solid research behind you and those tools you can produce believable false documents. My own novel, A Kill in the Morning contains several false documents, all of which I produced using the process and tools above. A map of Europe in 1955 under Nazi rule. A map of the SS headquarters at Wewellsberg. A 1941 peace treaty, between Germany and the British Empire. A glossary mixing real world definitions and definitions only valid in the world of the story. 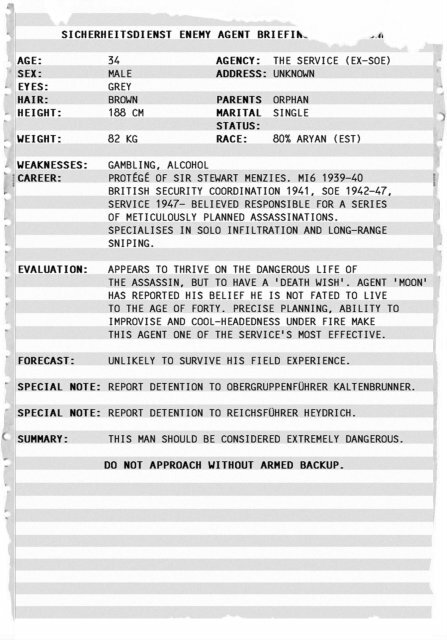 A dossier about the main character, as seen below. Many reviewers complimented A Kill in the Morning for its meticulous research and air of authenticity – one reviewer said my characters ‘live in their world as surely as we live in ours.’ I think that’s partly because of the false documents. You can read the opening of the novel and see the map of Europe in 1955 here: The first two chapters of A Kill in the Morning. Produce a dossier similar to the one above, about your main character. Write a headline and short newspaper article about one of the events in your novel. Write a letter from your main character to one of your other characters. If you’d like to discuss anything about using false documents in your novel, please email me. Otherwise, please feel free to share the article using the buttons below.